Some of you already knew but now we’re letting everyone know. 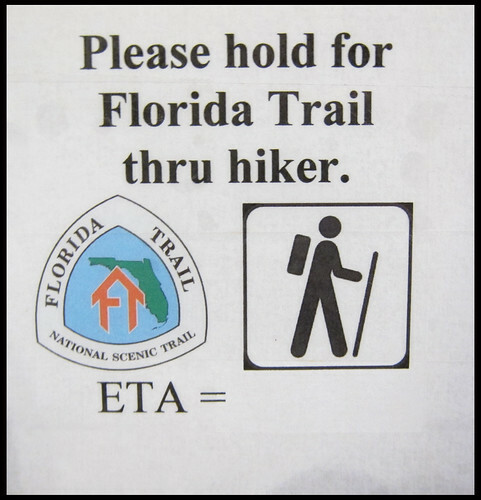 A few weeks ago Chris threw out the idea of hiking the Florida Trail this January and February. We would be done with our job and since we figure we’ll still be working with the company we were working with, their projects don’t start up again until March or April. Yes, yes, we will get ‘real’ jobs again—don’t worry about that. We figured that if we had the time and the money that it probably wouldn’t happen again and we might as well take advantage of it. Don’t worry for my Texas friends—yes, we will be back. We’re starting the trail in a week and will spend a few days with friends in Florida before beginning. We’ve hiked all of the first part to the Seminole Reservation, and a section in Ocala National Forest. A few things will be different about this hike: wading in water in some spots, less crowds (as in none), and mild weather for the most part. Hiking from Loop Road to Oasis Visitors Center in 2007. 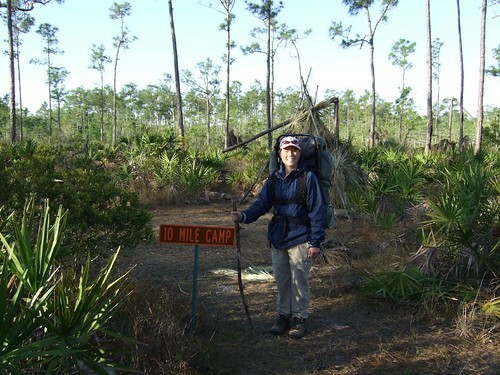 At 10 Mile camp between U.S. 41 and I-75 in 2007. 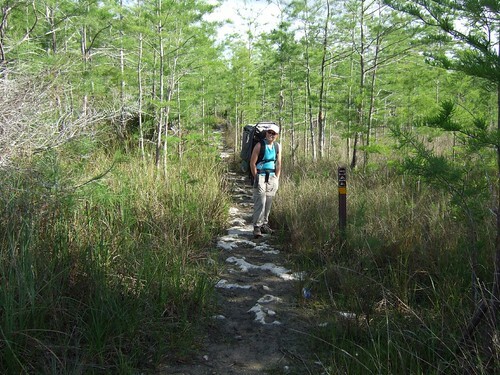 Hickory Hammock to Avon Park Bombing Range in 2010. We’re expecting to do about 20 miles a day right off the bat, excluding some of the start when we’re in water. I’m hoping the swamps have gone down a lot this year but that they still have water in the cypress domes for drinking water. We should be wrapping this up by the end of February or the first of March, 7-ish weeks and 1100 miles. It’s flat with some sand hills in the middle and northern part of the state but no large climbs. Looking forward to the next adventure! 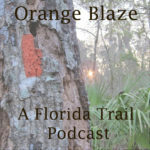 We’ll be posting when we can but I will do another Trail Tale series when we return. SO cool! I can’t wait to read about your journey!! Enjoy!!!! I’m excited that you guys are making the most of your time off right now!